The Emil Frey Lexus Racing team made its debut at the Total 24 Hours of Spa on July 28-29, fielding two Lexus RC F GT3’s in the 70th edition of the iconic endurance race. Entry in the race came off the back of strong results for Emil Frey Lexus Racing in its first full season of the premier Blancpain GT Series, including a spectacular victory in round five of the championship at Circuit Paul Ricard in France. It also followed a positive test session at the Spa Francorchamps circuit - home of the Total 24 Hours of Spa - which tested various set-ups and settings in both wet and dry conditions. Data from a successful outing at Spa Francorchamps last year was also referenced, when the team secured the first pole position for the RC F GT3 worldwide and went on to secure a dominant win during a round of the International GT Open series. Team principal Lorenz Frey said the team's confidence was boosted by the test and knowledge that the RC F GT3 performed adeptly on the challenging, seven-kilometre Spa layout. "Taking into consideration the track of Spa suits our Lexus RC F GT3 very well with its fast corners, we should see a good performance," he said. "Spa is one of the toughest GT3 races taking place on probably the most spectacular race track there is and everyone in the team is really excited for our first 24 hours race with the Lexus. SPA IS ONE OF THE TOUGHEST GT3 RACES TAKING PLACE ON PROBABLY THE MOST SPECTACULAR RACE TRACK THERE IS AND EVERYONE IN THE TEAM IS REALLY EXCITED FOR OUR FIRST 24 HOURS RACE WITH THE LEXUS. A highly experienced line-up of drivers, including Monegasque Stéphane Ortelli - a former winner of the 24 Hours of Spa and 24 Hours of Le Mans - piloted the two Emil Frey Lexus Racing RC F GT3s in the race. 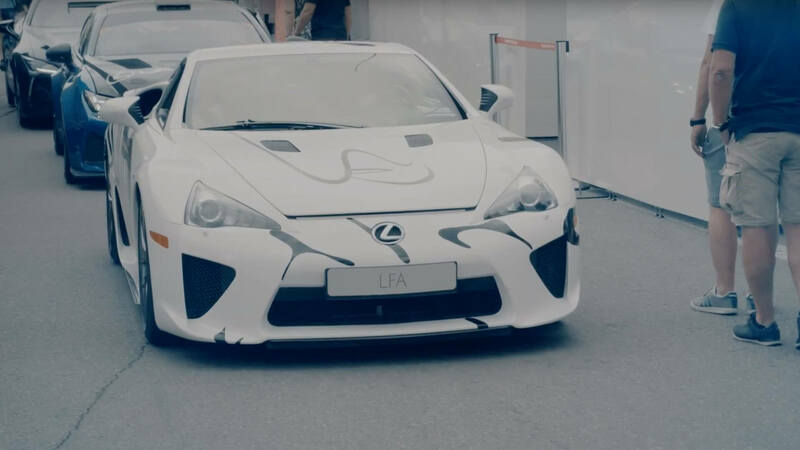 To mark this premiere and the 10th anniversary of the Lexus’ ‘F’ performance brand, Lexus Europe revealed a unique LFA Art Car at the Spa racing weekend. 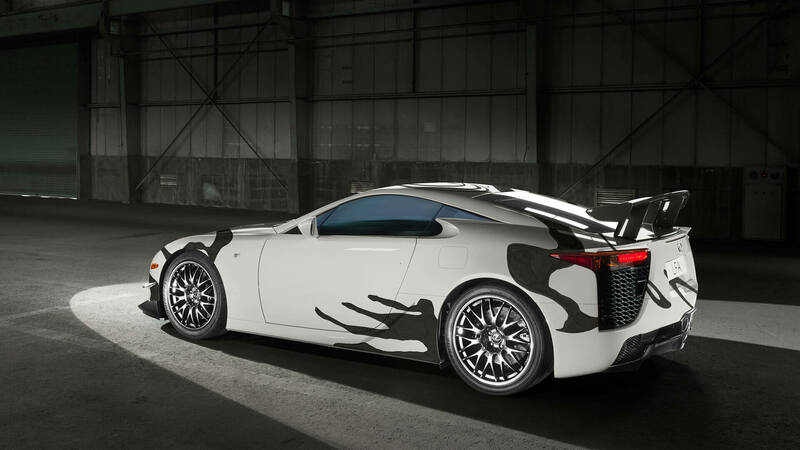 Designed by Portuguese artist Pedro Henriques, the livery of this one-off vehicle merges the instantly recognizable lines of the most iconic Lexus supercar, the LFA, with an organic pattern expressing the feeling of movement and constant evolution. I HOPE TO EXPRESS A FEELING WHERE THE CAR BECOMES A LESS DEFINED SHAPE, IN CONSTANT MUTATION IN ITS MOVEMENT. Lexus cultivates a passion for art and design, as showcased every year by the brand’s exhibits at the Milan Design Week. This summer, Lexus also opened a pop-up UX Art Space in Lisbon, featuring works by several artists including Pedro Henriques.